Join us for the 9th Annual Covenant House Florida 5K on A1A! 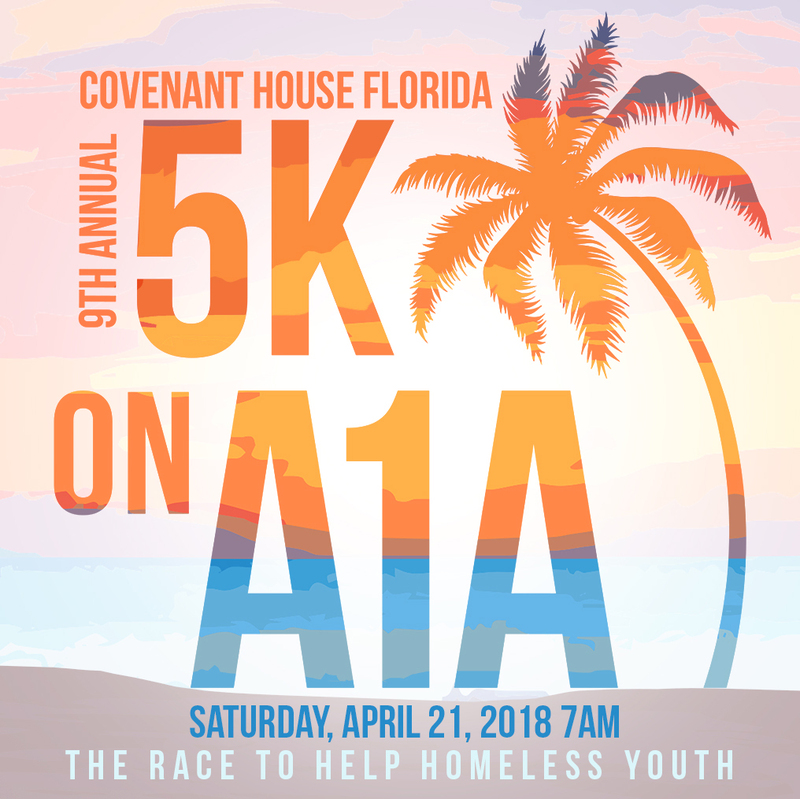 “Fund-Race” for Covenant House Florida – visit 5K on A1A to raise funds for homeless youth! Since opening in September of 1985, Covenant House Florida provides both crisis shelter and walk-in services for runaway, homeless, trafficked and at-risk youth under the age of 21, including young mothers and their babies. Covenant House Florida has helped over 37,000 different kids providing them with food, clothing, shelter, medical services, counseling, GED preparation, parenting education, life skills, and job readiness training. Our mission is to serve suffering children of the street and protect and safeguard all children. We work to provide children and young adults with the tools they need to have productive, hopeful futures. Your participation in this race allows us the opportunity to continue to serve homeless youth and young adults. The 5K Run/Walk will start and end at the World Famous Parrot Lounge, located at 911 Sunrise Lane, next to Sunrise Boulevard and A1A. The route will feature a special path by the Covenant House Florida shelter where residents and staff members will cheer on the participants. Festivities will include a pre-race warm-up, race goodie bags, awards, and light breakfast. All proceeds from the event will benefit Covenant House Florida. Placement medals, T-shirt, and providing homeless youth with hope and opportunity. For more information visit www.5KonA1A.com. You can find more details regarding the race to support Covenant House Florida.